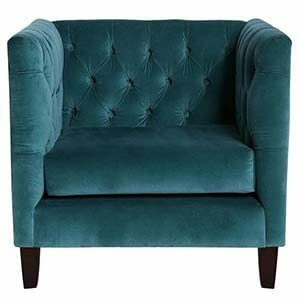 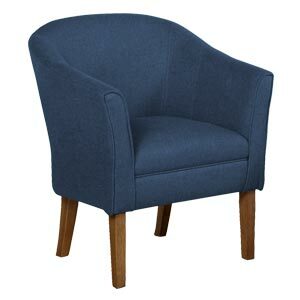 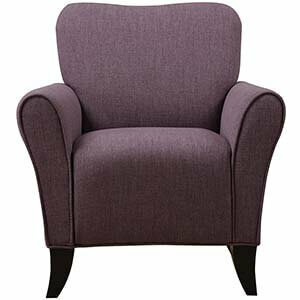 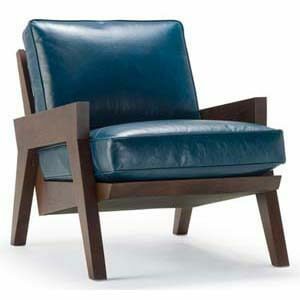 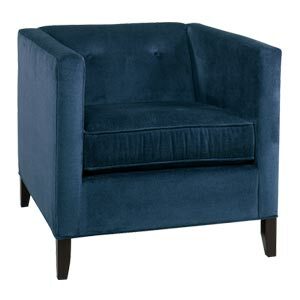 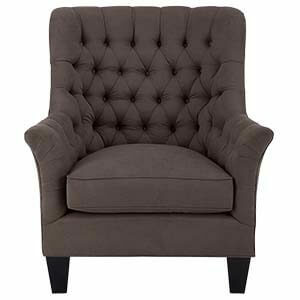 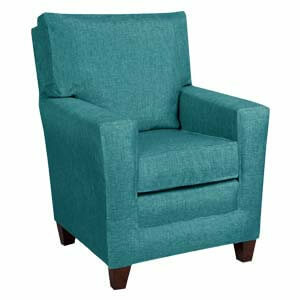 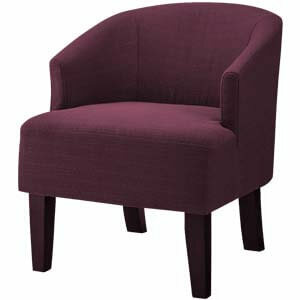 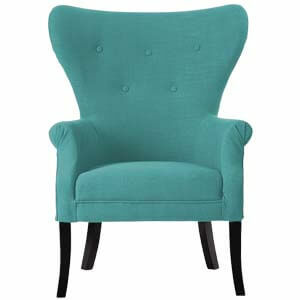 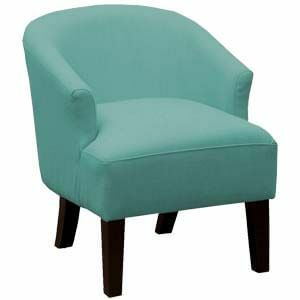 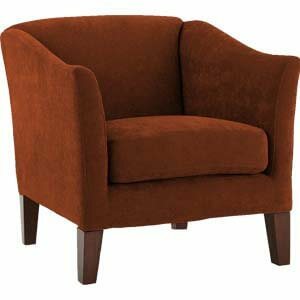 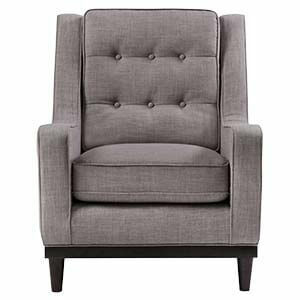 This Modern styled fabric accent chair is mark of sophistication in every aspect. 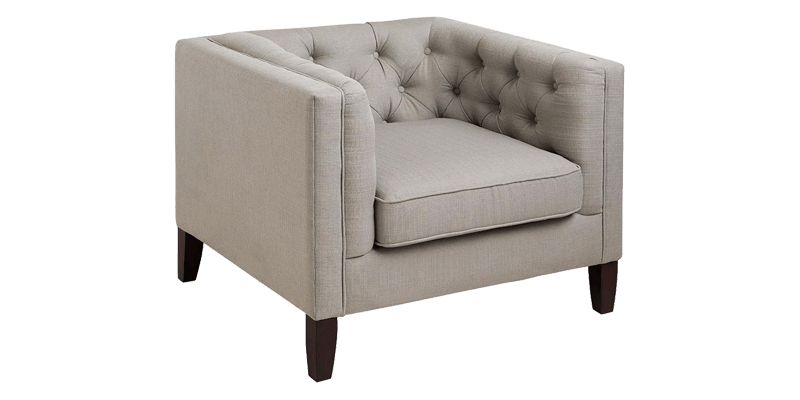 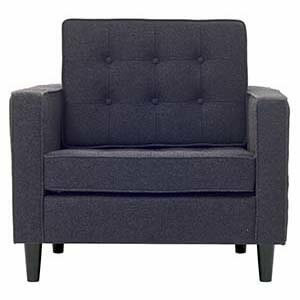 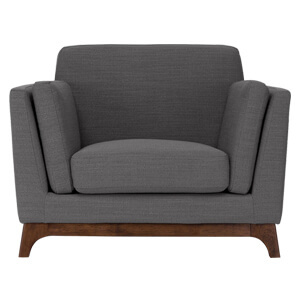 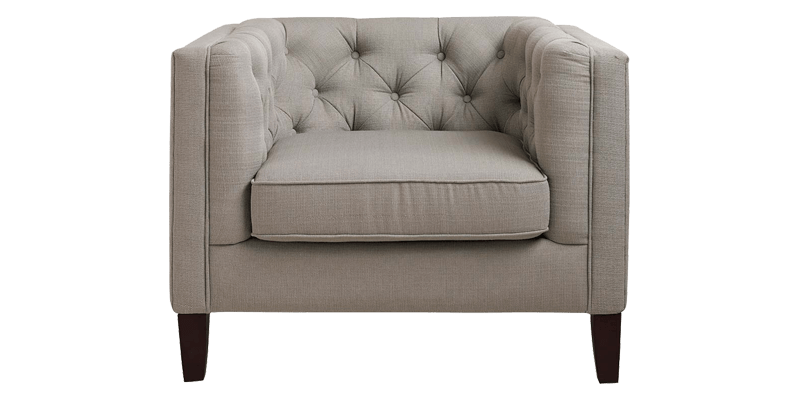 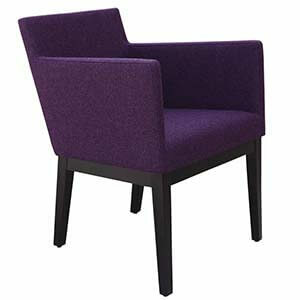 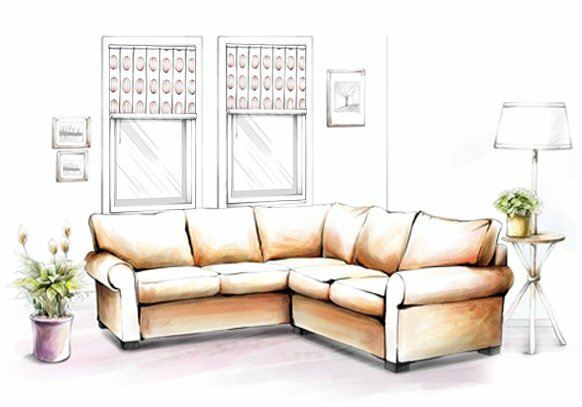 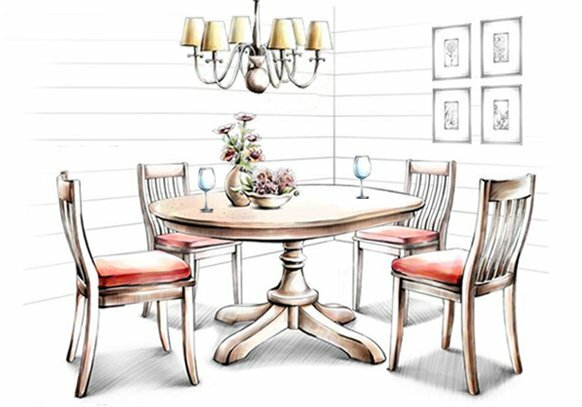 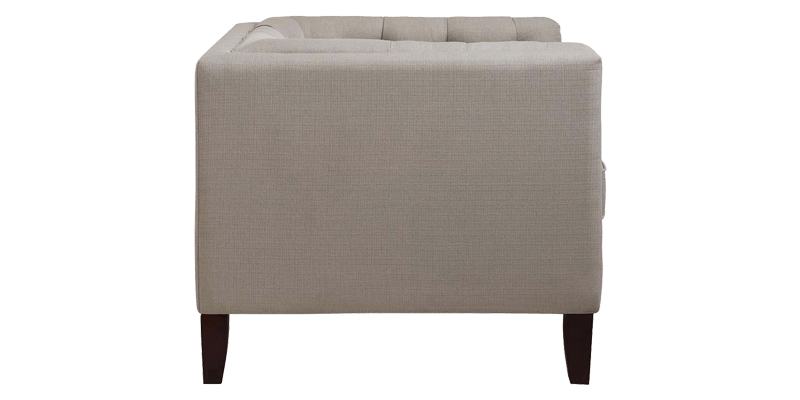 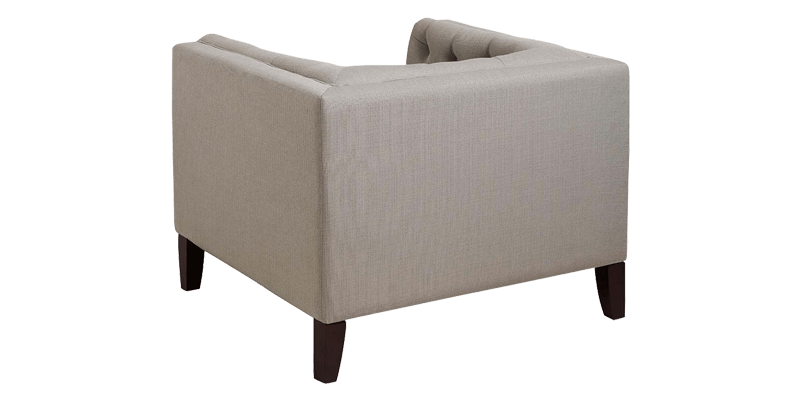 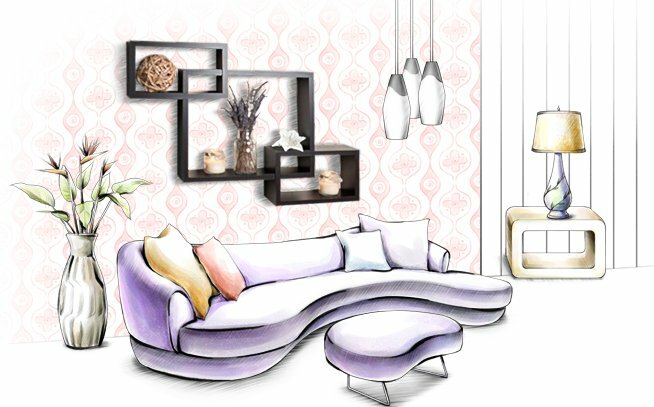 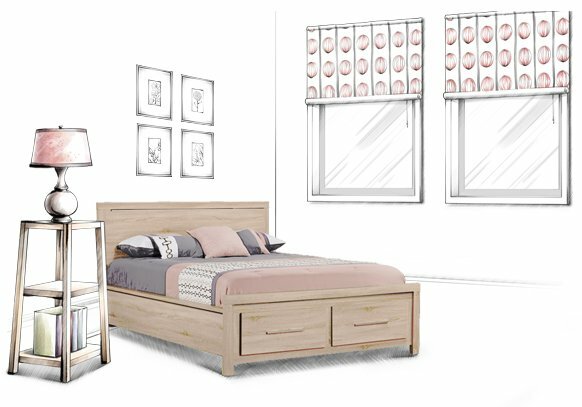 Featuring tuxedo arms, button tufting and loose cushion seats the boxy structure is supported well by tapered legs. 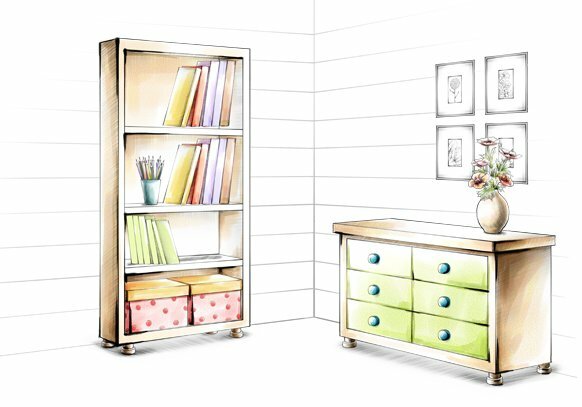 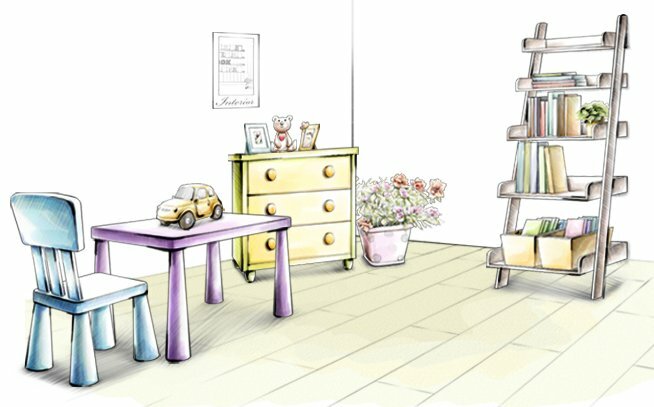 Being completely handmade there is a very unique personal touch purchasers get on every unit.